Sometimes family history work can be rather confusing. For example, I am a descendent of Charles Layton. The Layton line is well documented and goes back for generation upon generation—the problem is that Charles, at least biologically speaking, shouldn't hold the surname Layton. His mother, Bathsheba Layton, was an unwed mother—she was engaged to a sailor by the name of William Martin, who disappeared before the birth of the baby. Some sources presume he died at sea while Bathsheba was expecting Charles (1810-1831). Other sources say he lived to be a ripe old age (1810-1884). It's somewhat of a mystery to me. I suppose it doesn't really matter if he ran away from his responsibilities or if he died an untimely death. Either way, he wasn't in the picture by the time Charles came along. Bathsheba later married Nathaniel Denton (sometime in the 1830s, according to my family tree on family search). Charles, meanwhile, it seems was raised by his uncle Christopher, who was the founder of Layton, Utah. I'm not clear when his uncle adopted him, but he's known on several records (and in most family stories that I've heard) as his "adopted child." Christopher joined the church and went to America and later Charles joined him—I found one account of his conversion story here although I think I would like to find a more detailed history of his life, if one exists. I frankly don't know. Charles and Bathsheba were both sealed to Nathaniel Denton, though on family search, this wasn't completed until 1933 (Charles died in 1901—any parental figure he had died before him so this work was obviously done vicariously...and in Cardston, no less...one of Charles' sons, Samuel, immigrated to Canada and settled in Alberta. I descend from Timothy, who stayed in Utah. Irony would have it that my dad later moved to Alberta where we were good friends with the Laytons who descended from Samuel). On my family tree, it lists Nathaniel Denton as Charles' father. However, if Charles was born of William Martin and raised by Christopher Layton, I fail to see why this should be. But I can't exactly add William Martin as a husband for Bathsheba because they were never married...and I'm not sure at all how to list adopted parents...but Nathaniel Denton was an adoptive father to Charles at any rate. So I don't know what to do and I'm terrible at finding documents, though I have found Charles' name on the passenger lists of a couple of ships sailing from Liverpool to New Orleans as well as on a few surveys and things. He's relatively easy to find, actually. It's his parents that are more difficult to document—though Nathaniel Denton came to America in 1874 so I kind of presume Bathsheba came then, too... Many of their children stayed behind in England. Anyway...the long and the short of it is that I have no idea which line to follow. What I really want to know is all the mystery and drama surrounding William Martin. Who hasn't been watching too much Downton Abbey? And since I grew up in Alberta, I knew all the Samuel Layton descendants long before I met and married a Timothy Layton descendant, just saying. My piano teacher was a Layton; I had good friends at school who were from the Samuel crop of Laytons. Small world. Hello Layton Cousin! Samuel John Layton is my great-grandfather and I, too work on the Layton line. Don't worry about Mr. Martin. Bathsheda never married him so we really have no connection. Bathsheba and Nathaniel had a fine family (I have letters from them to Charles and Betty) and Charles was very happy that his Uncle Christopher paid his way to America...he was never considered Christopher's son. He was very loved by Bathsheba and Nathaniel, to whom he is sealed. He came to America because of his testimony. Bathsheba was a lace maker (I think she made the lace she is wearing in her photo), as was her daugher. After she died Nathaniel married again and he and his new wife came to Kaysville. Could you possibly send me (scanned and emailed) copies of those letters? As far as I know we have nothing like that. I descend from Samuel Layton, and have done quite a bit of research. Charles was indeed William Martin's son, and William did live a long life, going on to have 10 children with a woman named Mary Gentle. Charles converted as a teen, and actually made the trip to the US alone - he had to stop for a long time in Missouri to earn enough cash to make it the rest of the way. Interestingly, despite William Martin's apparent ditching of his duties, the Martin and Layton families intermarried a couple more times (Bathsheba's sister Priscilla married William's brother Samuel, and Bathsheba's brother Christopher married William's sister Sarah). Bathsheba did not ever move to the US. She was long deceased by 1874 (she died in 63). I just wrote you a comment, but I'm not sure if it went through or not. I descend from Samuel Layton, and can answer several of your questions. My link above will take you to the Layton page of my website, where you'll find info and pictures. I went to Robyn's website, and it was really interesting, but her entry for Clarence Layton just astounded me, because, having grown up in Taber, I knew that a couple of things about him were incorrect. The reason it astounded me was that he lived relatively recently, compared to the others, and my dad knew him really well, so I grew up hearing stories about him. Also, I knew his second wife, Elva, well, and was frequently in her home with two of her granddaughters. 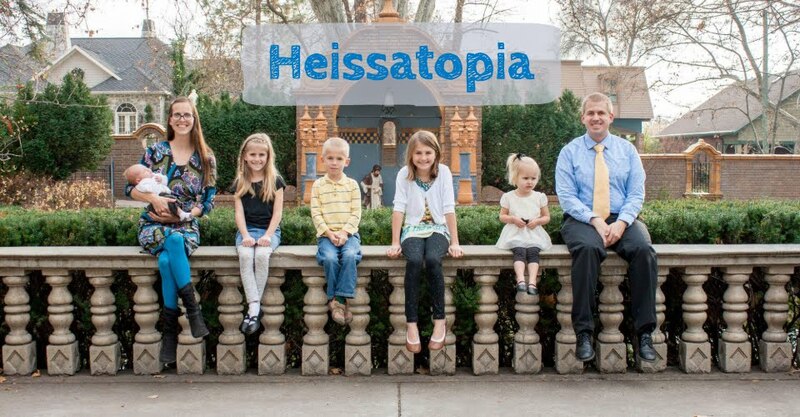 I couldn't see how to contact Robyn on her blog, so I am just putting this information here, in case she comes back for a visit to Heissatopia. Clarence Layton's profession was indeed known. According to "From Tank 77 to Taber Today" published in 1977, ISBN 0-919213-63-4,"Clarence became janitor of the old brick Central School on its completion in 1910--and held that position some 43 years until his death October 13, 1954. [Which is not to say that he didn't die in Calgary; lots of people got sick and taken to the hospital in Calgary]He was familiarly known as "Pop Layton" by the hundreds of students passing through the school in the intervening years. His years of dedicated service as caretaker, and friend to students and teachers, placed him in high regard and esteem." And I can attest that is true, because my dad had lots of stories about Pop Layton. During the flu epidemic the school was used as a hospital, and Pop helped out as an orderly during that time when school was not in session. He did the whole vinegar to ward off colds thing, and stayed very healthy all those years of working with germ-carrying children. But the most mouth-dropping hole in the "Pop Layton" story--when he married Elva Layton he had two more children! Patricia and Lynn. Patricia married and had four children, including a set of twins (as Laytons are prone to do--at least on our Layton line). Lynn was the post master in Taber my entire growing up life. He and his wife had three children, the oldest of which was my good friend Donna, with whom I would visit Elva Layton's home, along with her cousin and my other good friend Cindy, a child of one of Elva's Fallon children, of which she had four. Patricia was born in 1932, and Lynn in 1936, so they were much younger than Pop's other children. I just wanted Robyn to know that those children exist! I never knew Patricia, but Lynn was very much a part of my life growing up in Taber, both because of his position as post master and as the father of my friend.